Beginning swimmers who have finished the Level 1 class or know basic swim techniques will continue to develop their technique and skills in this Level 2 class. 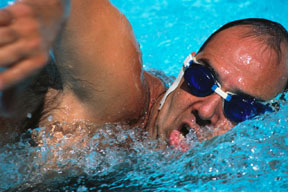 Donna will teach additional strokes, including the backstroke and sidestroke. You’ll continue to improve your coordination, breathing and endurance in our 4-foot-deep, indoor pool. Class size limited to 7, so register early as this course fills up fast!